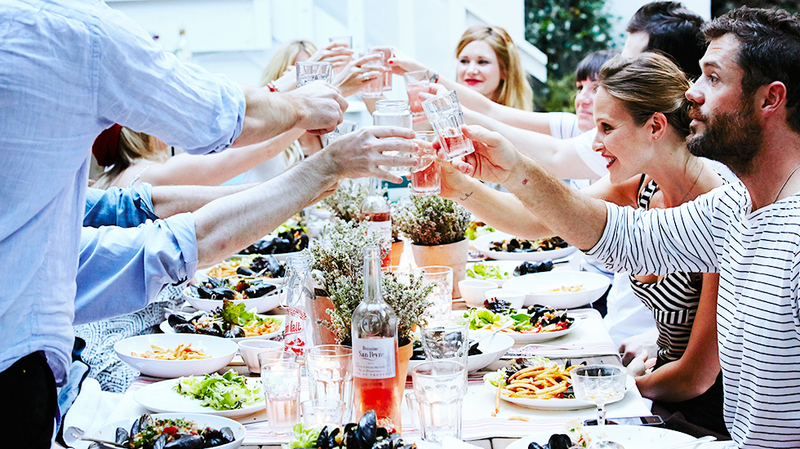 If you’re anything like me — someone who has aspired to be a dinner party hosting aficionado — I’m sure you’ve wondered about the various tricks you could easily implement at your next diNnEr pArTy that would help it to run more smoothly. I like to picture myself effortlessly sashaying around the party with grace as I remove the brie puff pastries from out of the oven at the precise moment they begin bubbling. To feel like I can conquer the world because I possess the knowledge of how to chill a bottle of Prosecco in no time flat and uncork the perfectly chilled bubbles just as guests are about to tuck into their dessert course. In reality, my hosting skillz are just OK. I’m much clumsier in the kitchen than I’d care to admit and I break roughly one piece of glassware for every ten loads of dishes I complete. My cooking skills are a few years behind where they should be and I can knock only a couple of desserts out of the park. 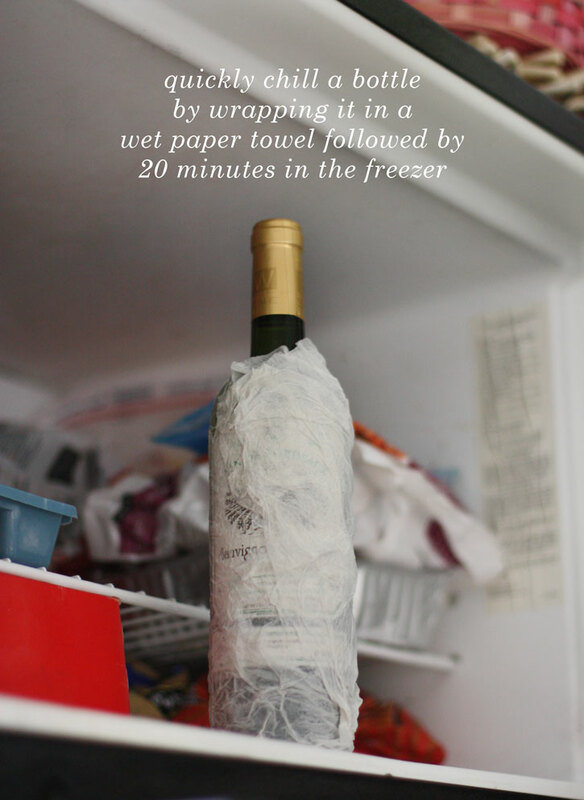 (and even that is being generous) I’ve done my fair share of research when it comes to party and hosting tips and I always find the hacks to be over the top and strangely time consuming. Below are 12 hosting tips and bits of advice that are relatively simple and easy to follow during your next soirée. 1. 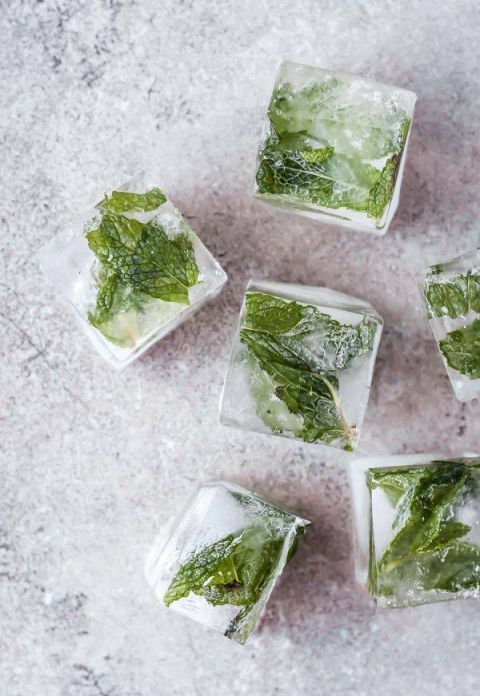 Find nice ways to make your carafe/pitcher of water more fancy, like sliced lemons, berries, or these mint ice cubes. It’s one of those little things that takes no time or money, but makes everything feel intentional and put-together. 3. Even if you don’t have some fancy bar cart, use a small table or shelf that you already have and repurpose it for the evening. Set up your bottles, some nice glasses, paper straws, and garnishes/mixers. 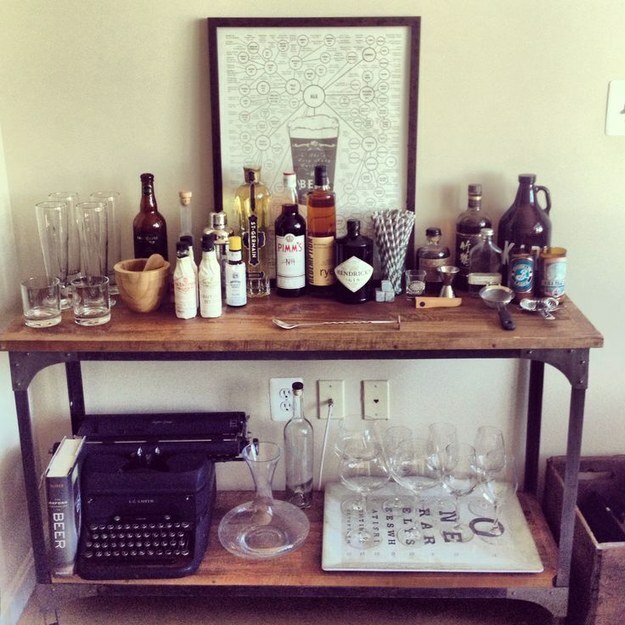 Pretty much any table-height surface can be turned into a bar in a pinch. 4. 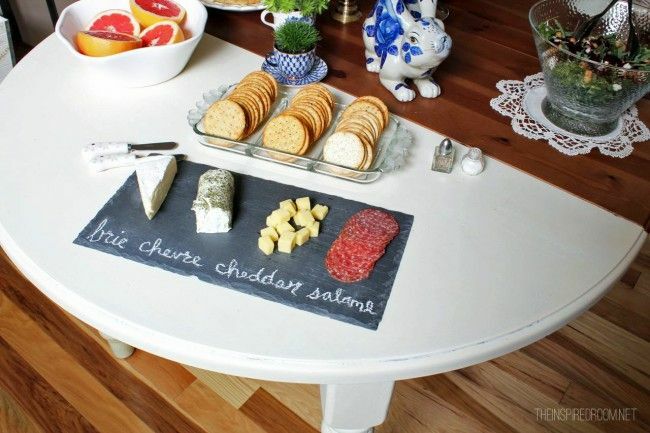 Find a board that doubles as a platter & labels (or chalk), so you won’t have to answer questions about what cheese it is as you’re trying to cook. 5. 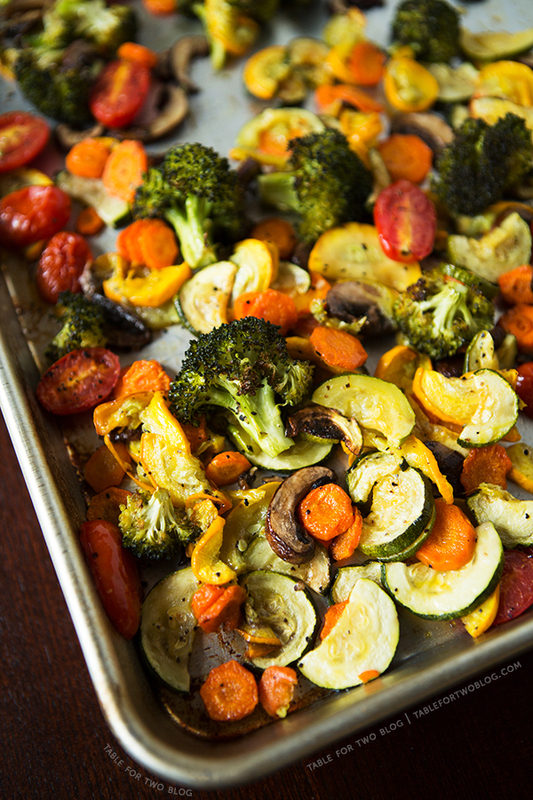 Cook large trays of roasted mixed vegetables as cheap and easy fillers for a crowd, especially because they’re something that you can just set the oven on and forget about for a long time. 6. Don’t host alone! Enlist the help of a friend, and have them come over a few hours early to get the food started and enjoy a glass of vino! 7. 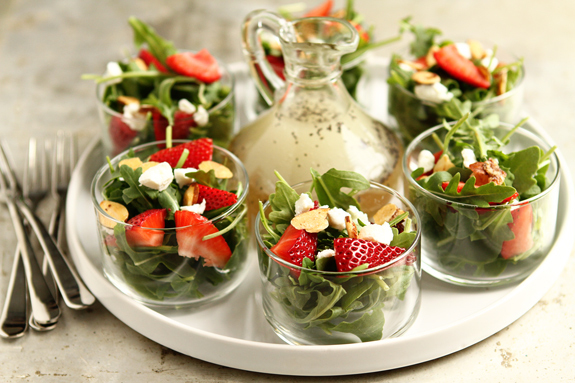 For larger parties, put appetizers in small cups so that guests can sample everything. This will also keep the party — and the people — moving around before the main course. 8. 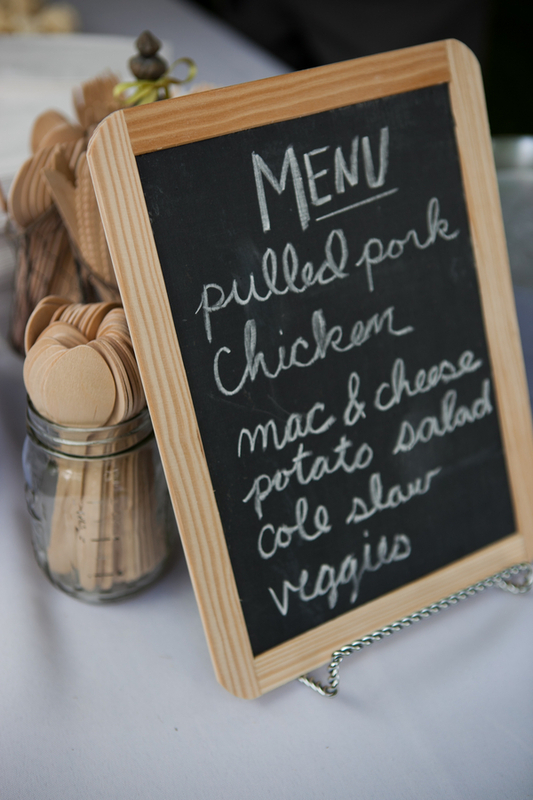 Write out the menu so everyone knows what to expect and, again, you won’t have to answer questions. This is also one of those little touches that makes the whole evening feel way more fancy than it is. 9. 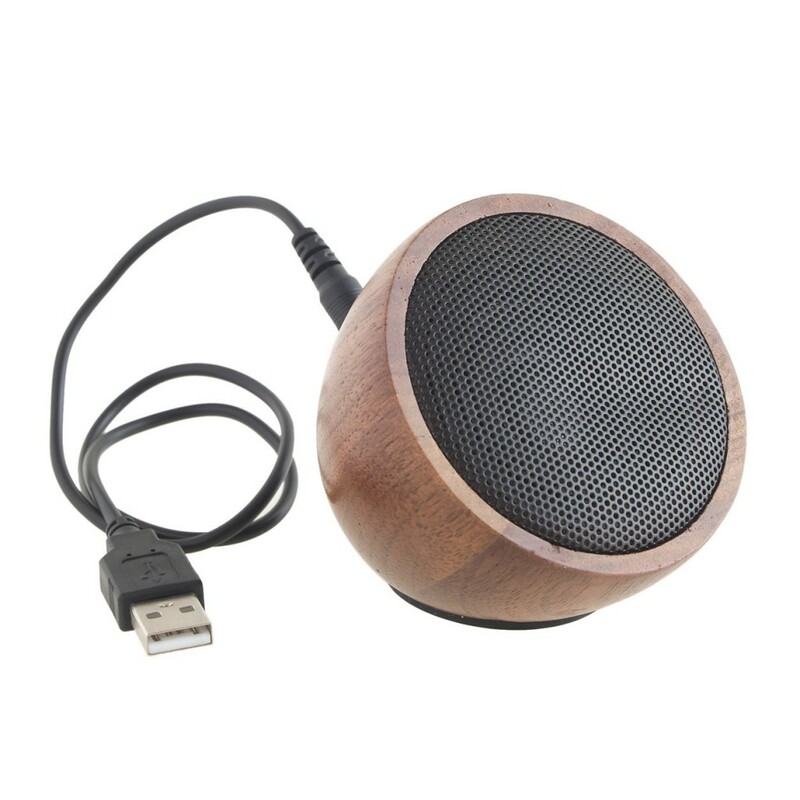 Set up cheap-yet-effective speakers like these ones from JCrew, to amplify the tunes without feeling like you have music blaring from large speakers. 10. 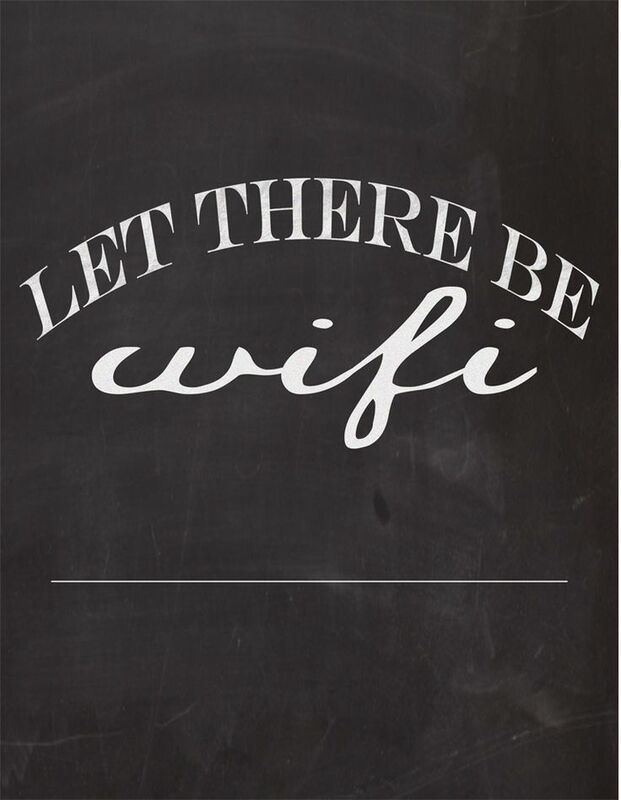 Have a visible key to the WIFI kingdom. This way you won’t have to answer the same question over and over again, and you KNOW this question will be coming up. 11. Consider serving food family style. 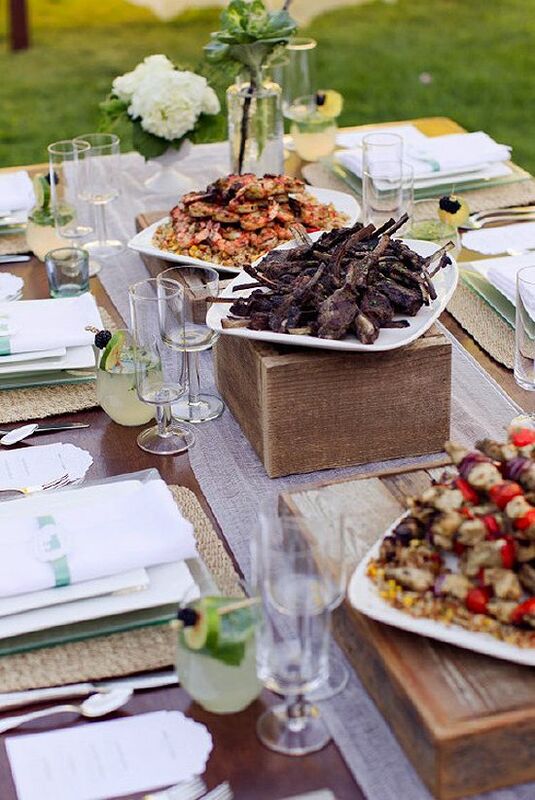 When you set out large platters of food on the table it encourages people to pass items around. It’s an easy way to stimulate conversation amongst guests and gets those who aren’t familiar with one another, talking. 12. 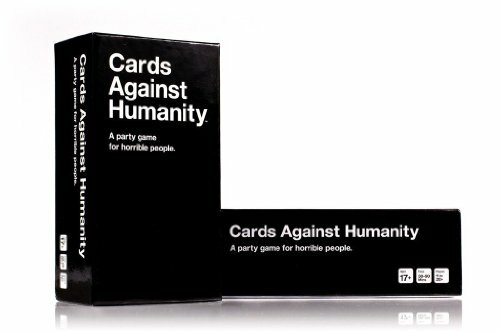 Set out simple games like Cards Against Humanity as a back up plan in case food needs extra cooking time or something in the kitchen goes awry. Having this out as a distraction from what’s going on in the kitchen is an easy way to take pressure off of the host.